Excellent. We'll be here when you're ready! Our next batch is due for sale on MAY 5, 2008. Stay tuned!!! today's the day wheeeeeeeeee... can't wait now..
SEVERAL pre-orders were shipped today and should reach everyone over the next few business days. Stay tuned!!! A very small number of GOLD Yaris Short Shift Kits for the Toyota Yaris and Scion xD will be available during May and June of 2008. Limited edition "JDM GOLD" will be available only while supplies last. NST FTW! The gold is HOT! We will have red and gold in stock and for sale this week. Thanks NST For a great product! Two plus two = four. Four thumbs up! Does anyone have any recent reviews or feedback? We would greatly appreciate it. I got the GOLD ONE WOOT!!!! installing it was a bit troublesome i think it could just be me but it seem like the bottom of the piece was machined a little too some so i had to file off a bit of the bottom to get it to fit, that wasn't a big deal though. Still only took 15mins to install and I'm loving it a lot!!!!! Makes the throws so much shorter making it even more fun to drive. 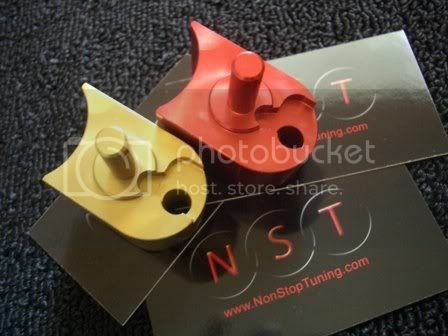 I will highly recommend the SSK from NST to anyone who drives a manaul xD or yaris. It's a must have for all who drives stick! Anyone have any idea what shifter bushing kit would work? That is very strange! We have sold over 100 of these pieces in the past couple years and I have yet to hear of any that did not fit perfectly! Either way, I am happy to hear that you got it on there and are enjoying the results!!! We are working on several new bushing designs over the next few weeks. We expect to have some new goodies available for you guys this fall. I actualy have the NST and have had access to the TRD. Hands down NST for the win. Why do I say this? 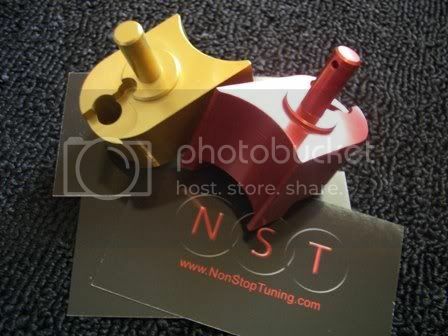 Cause NST is the kind of company that will end up producing more xD parts for us if they see a xD need. Plus color options are cool and they are cool dudes who will talk you through any questions if you have any. 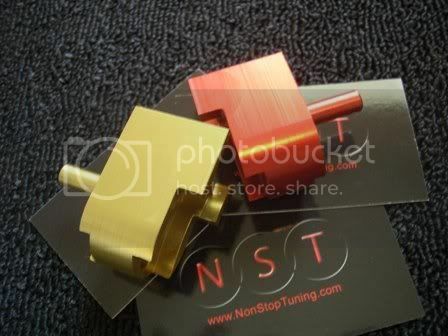 NST is currently working on an all new "stage2" kit for the xD and the Yaris. We are working on Shifter Cable Bushings for the xD and the Yaris. And we are also working on new Shifter Cage Bushings for the xD and the Yaris. Many, many thanks to those who have supported our brand and products, you are the reason we are doing more for your community. Good luck and have fun with all your projects! I pre ordered my 09 xd this past weekend. i am currently rounding up goodies to throw on when I take delivery. For the life of me I cant figure out how this makes the shifting shorter. I know some companys like B and M offer shorter rods for the tc and that makes sense to me. Can you please explain how this piece can shorten the distance that the throw needs to travel to change gears?